The Junior 3 team has worked hard to obtain the many difficult skills in their routine, including immediate kick scorpions and multiple single-leg twisting elements in their elites which were originally not their strong suit, according to Sarah and Alisha. Coaches Sarah Luna and Alisha Gretenhardt are extremely proud of the kids and how hard they have been working. "We made this routine really difficult and they have been so resilient with how we coach them," they explained. Last season, the team struggled as "the team who was always second place" so this year, they decided to become true Phoenixes; rising up to every challenge, which they have been able to hold true to that all season. 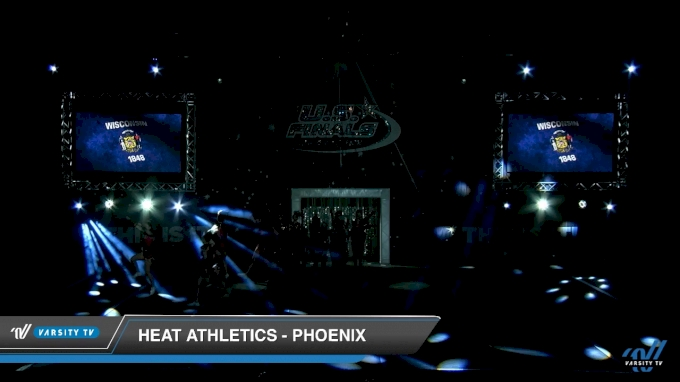 Watch the winning routine from Heat Athletics Phoenix! Looking forward to The D2 Summit, the team is hoping to add even more upgrades! "This is the type of team that can totally handle it." Congratulations on a great season Heat Athletics!